British designer Holly Palmer has sent us photos of her Book Porcupine. 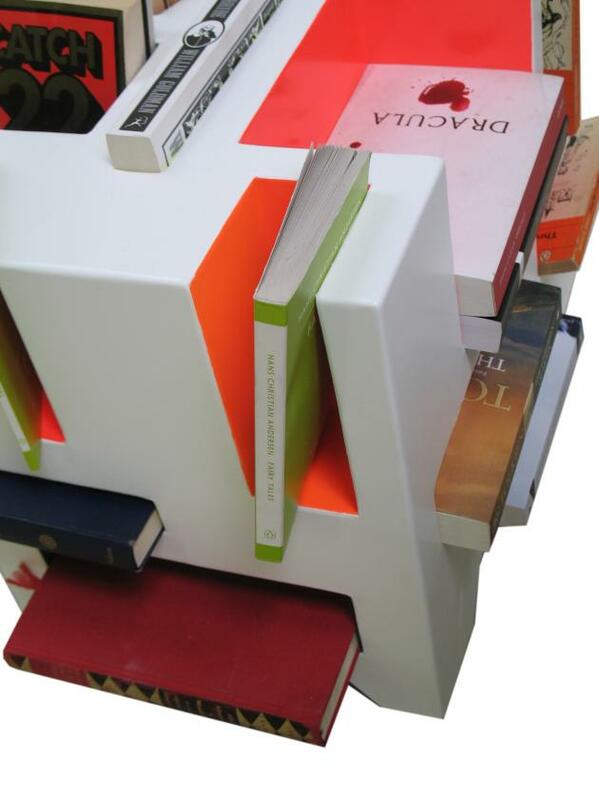 With 18 compartments in various sizes for storing your favourite books, the Book Porcupine is a product that is based on the idea of negative spaces. The compartments are the books negative representations made permanent in the structure of the unit. Designed to sit beside a standard chair, the name of the piece is given in reference to its silhouette – the short, stout legs against the books sticking out at various angles and degrees. 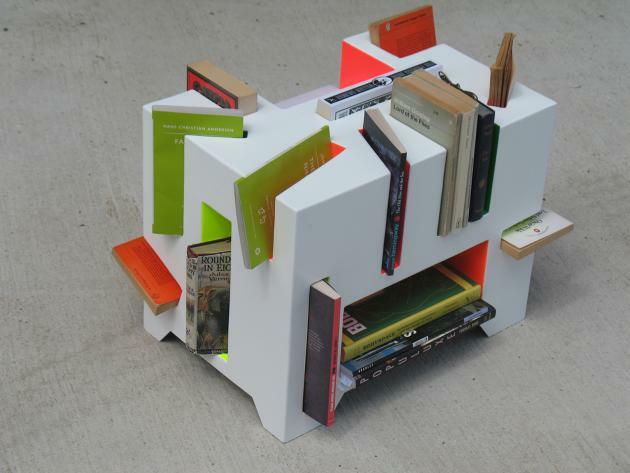 Good for flats or smaller homes as an alternative book shelf. Visit Holly Palmer’s website – here.